Bruce got Alfred a new blender for Christmas and he’s been making them ever since. I’ve had Bane on the brane for the past few days. He’s such a surprisingly fun villain! If you’re still itching for more Bat-content. Check out this article I illustrated for CH writer, Hallie Cantor about what it would be like if Gotham hosted the next Olypmics! 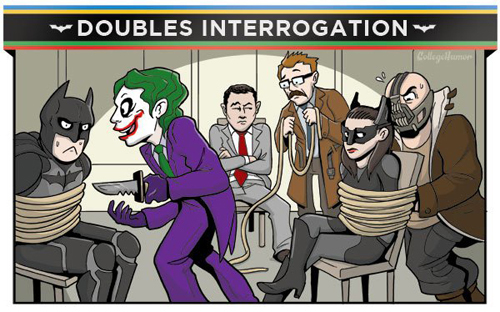 See the rest of The Gotham Olympics right now on CollegeHumor! Okay I’m gonna go watch Batman again forever, and then I’m gonna watch Batman Forever again. I want you to fully comprehend the bitter despair of your smoothie-less existence… THEN, you have my permission to cry.